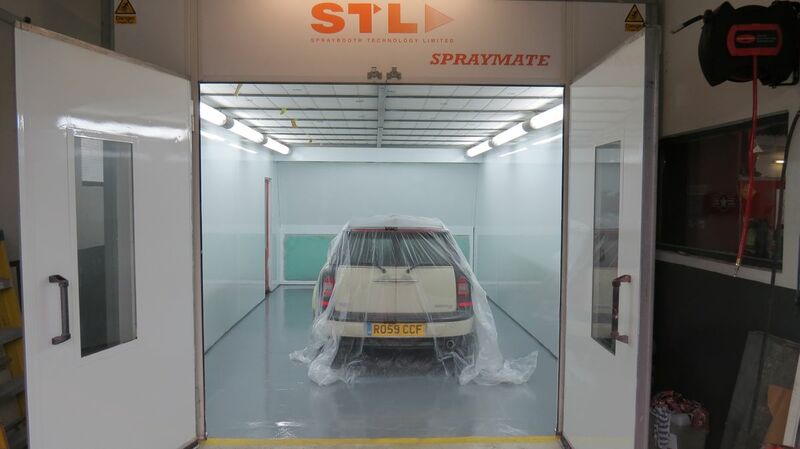 Why Would You Consider Car Body Repair Or a Car Respray in Bristol? There are many things to think about when it comes to the exterior aesthetic of your car, since there can be so many different aspects to consider when it comes to car body repair. Price is going to be one of the biggest obstacles for many with a car respray but one has to consider how much time, work and effort goes into a full car respray. - Your cars paint has started to delaminate and peel off. This is not only visually unappealing but it exposes the steel or aluminium underneath making it vulnerable to rust and corrosion. If a large area of metal is exposed then the elements are able to deteriorate the structural integrity of the metal making the vehicle unsafe. - The paint has been faded by the sun or scratched by other elements. This is going to make the car look worn and aged and detriment to the resale value of the car. The main goal of a respray for this use is to restore the “factory look” of the vehicle giving it a new literal lease of life, as even the oldest of cars can look showroom ready with a fresh coat of paint. - You may just want to change the colour of your vehicle in order to change the entire look of the car. This is much more of a custom approach so the world is your oyster when it comes to what colour you would like your car to be. The cost of the respray is going to depend a lot on what your main intentions are with the car. A simpler approach is going to be less intensive with work and time so it is going to be less costly than painting a car to showroom quality, which takes more time, resources and effort. All of these principles can be applied to car body repairs since they are processed in very similar ways. If your car is dented in an accident then body shops are one of your only ways of repairing the damage. If you have been in an accident, it is very important to find a car body shop that has your best interests in mind as it offers peace of mind at a very stressful time. Unfortunately, some illicit body shops like to play insurance companies, as they will regularly downplay claims, minimise auto repair costs, use cheap replica parts, or even neglect to fully repair structural issues in your vehicle after the accident. These illegitimate practices can devalue your vehicle or even worse, give you a false sense of security, as they will only fix the surface issues that you are able to see. As with anything, it is good to do some research before you spend your money on a car respray or car body repair. Making sure the establishment you are visiting is of reputable background is very important, as you don’t want to be enquiring with a dodgy dealer that is going to take your money in return for a shoddy paint or repair job. AP Autocare is proud to be a part of the Good Garage Scheme, which is an award given to garages that continually uphold a high standard of customer service. Because of this, you know that AP Autocare is a trustworthy garage you can trust with car respraying. This guarantees great value for money because you are going to get a professional job. With car repainting, you need to consider that buying cheap usually means buying twice. Like with anything that can’t really be scrimped on since the paint, preparation and application takes time and money. Cheap usually means quick and fast, which cannot be done with car painting so proceed with caution when you are handed a cheap quote for your car respray or repair.